Reports have emerged citing the harmful by-products associated with concrete production. Many of these reports claim that concrete is unsustainable — largely because of the amount of CO2 produced as a result of its production. For every tonne of cement produced, a tonne of CO2 is produced — or so is the claim. Whether or not this is true, this doesn’t quite paint the whole picture. Cement has a number of sustainable and eco-friendly qualities, and these are going to be the subject of this article today, as well as a look at potential ways concrete can continue to develop as a sustainable substance in the future. The term ‘sustainable’ can reference a variety of different issues. One of these issues refers to the depletion of natural resources. A product is unsustainable if the usage of the elements that comprise that product are in short-demand, or are being used at a rate at which the elements would eventually reach depletion. At first glance, the sheer abundance of cement in the world may allude to this conclusion. On the contrary, the cement that makes concrete is largely made up of limestone, and limestone is in fact one of the most abundant materials on Earth. Even at the enormous rate at which concrete is produced and used daily, there is zero risk of humans running out of limestone for future use. The main argument against concrete, however, is that the production of it emits a lot of greenhouse gases into the atmosphere. What isn’t mentioned, however, is that concrete can actually help reduce greenhouse gas emissions in other ways. Most notably, concrete has an inherent thermal ability to absorb and retain heat. This is known as thermal mass. Houses that are built with flooring, foundations or walls made from concrete will benefit from this ability. It means that these homes will become warmer for longer, thus reducing the need to keep their heating running on as high a temperature or on at all. This results in lower energy consumption and bills for millions of homes. Therefore concrete is directly impacting the reduction in harmful greenhouse emissions. 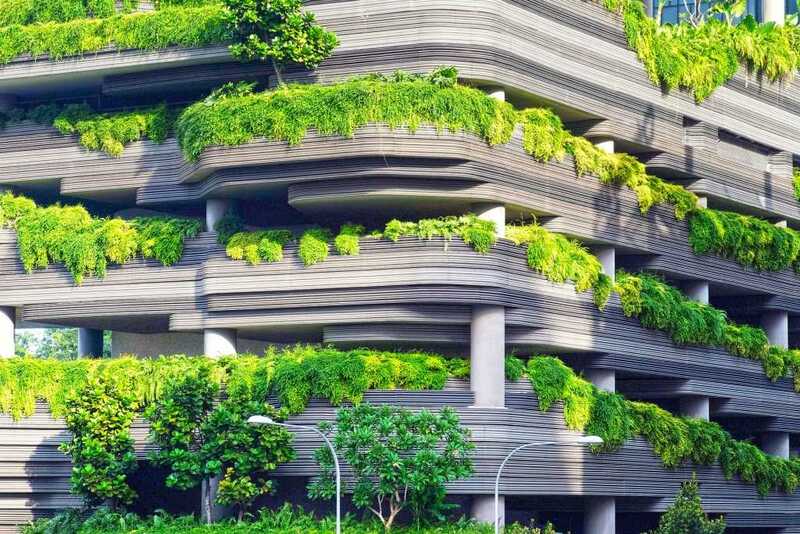 There are many exciting prospects for concrete becoming more green in the future. A very recent development has focused on the use of plastic to reinforce concrete instead of the steel that is widely used today. It has been reported that using plastic instead of steel to achieve reinforcement can reduce carbon dioxide emissions by up to 50%. This number is boosted even more significantly when you replace virgin plastics with recycled plastics. Recycled plastics have already been made, they are just being put to another use, and therefore using recycled plastics can bolster this statistic of carbon dioxide reduction by a further 50%. This is an incredible step forward, and will hope to shape the way cement is produced in the future. Here at Concrete Drilling Services, we’re committed to ensuring a better future for us all. We always stay on the cutting edge of concrete innovation and do our utmost to produce concrete and undertake our services in the most eco-friendly way possible. For more information, or to enquire about any of our extensive range of services, give our friendly team a call today.